Today 1st. of April new phytosanitary requirements has been implemented for the entry of wooden packaging and pallets in the Autonomous Community of the Canary Islands – RAMINATRANS S.L. The Ministry of Agriculture, Fisheries and Food through the Order APA / 1076/2018, of October 11, 2018 has established the phytosanitary requirements for the import or entry of wooden packaging and pallets in the Autonomous Community of the Canary Islands. This fact has been favored by the particular agro-climatic and ecological conditions of the Canary Islands that have made it necessary to establish a specific regulation on plant health. This regulation aims to preserve the phytosanitary status of the archipelago against pests and other harmful organisms that can be introduced into imports of vegetables, plant products and other objects. 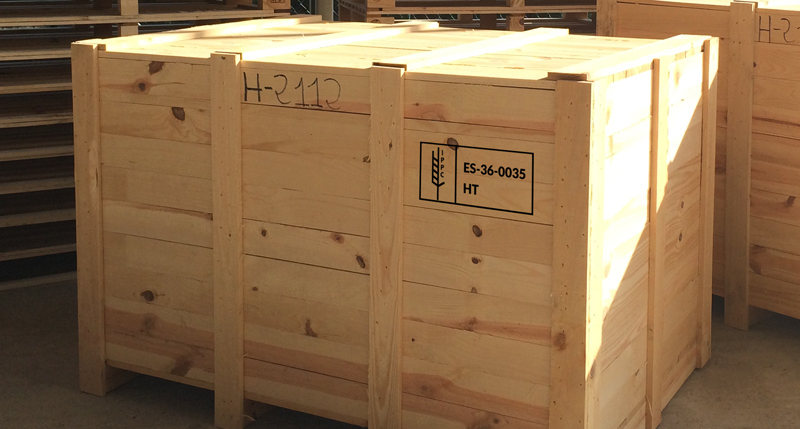 All types of wooden packaging with a thickness of more than 6 millimeters (boxes, boxes, cages, drums and similar containers, pallets, box pallets and other loading platforms, pallet collars, stowing boards, used or not for the transport of goods of all kinds), also included is the stowage, which must meet the requirements established in ISPM No. 15. In case of non-compliance the Inspection Service in Plant Health Border, you can stop the shipment, remove the material that does not meet the requirements, destroy the cargo and re-export the cargo. You can also extend the measures taken to the items or material that may contain or house. Excluded from its scope: raw wood of a thickness equal to or less than 6 mm; the wooden packing made entirely of wood material subjected to processing; barrels for wine and liquors that have been heated during manufacture, so that they can be sure that they are free of pests; gift boxes for wine, cigars and other products made from wood that has been processed or manufactured in such a way that they are free of pests; sawdust, wood shavings and wool and finally, wood components installed permanently in vehicles or containers used for freight. With respect to wooden packaging and pallets included in commercial shipments imported into the Autonomous Community of the Canary Islands, whatever their origin, they will be subject to one of the approved treatments specified in Annex I of ISPM No. 15 and which are the following: heat treatment; heat treatment by conventional steam chamber or oven drying (treatment code for the brand: HT); heat treatment by dielectric heating (treatment code for the brand: DH); Treatment with methyl bromide (treatment code for the brand: MB) and, finally, treatment with sulfuryl fluoride (treatment code for the brand: SF). Regardless of the type of treatment applied, the wood packaging material must be made of debarked wood.